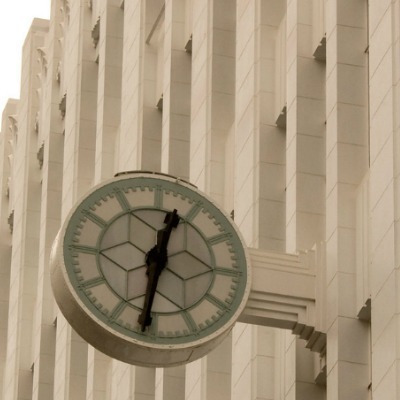 You can find examples of deco clocks on buildings scattered throughout Melbourne and its close by, neighbouring suburbs. 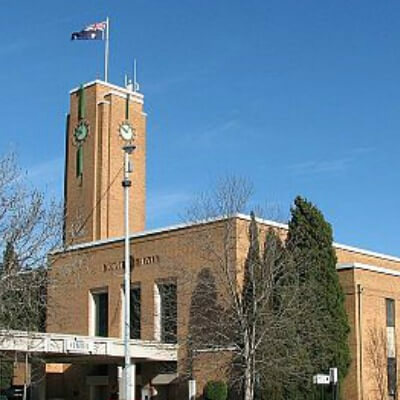 Country town halls, factories, stores, library buildings and schools sometimes proudly display the deco clock on their outside tower or on their interior walls. 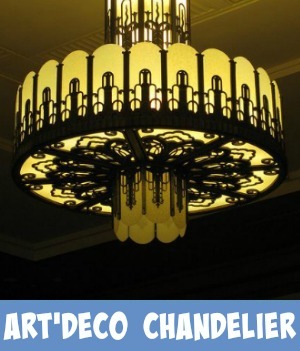 These pieces of Australian history can be original art deco pieces or reproduced to researched specifications. 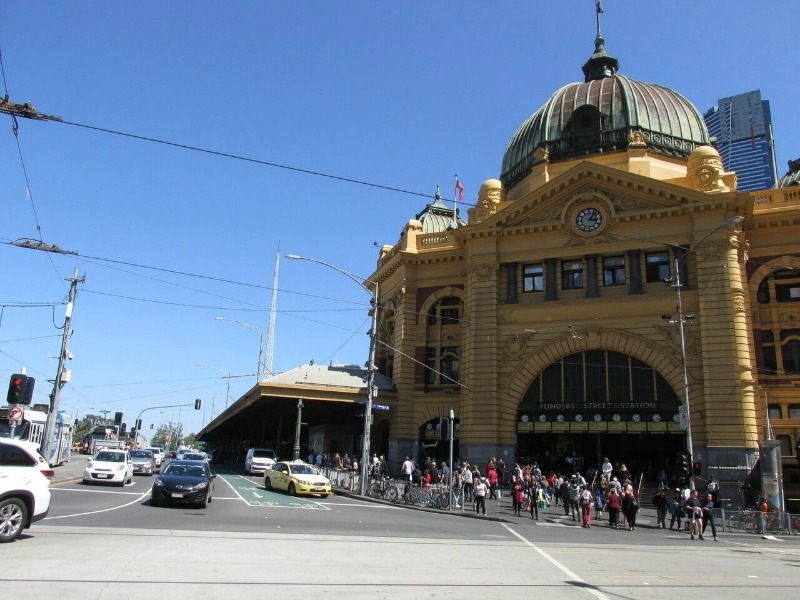 The first experience that you may come across is right in the heart of the city at Flinders Street Station. 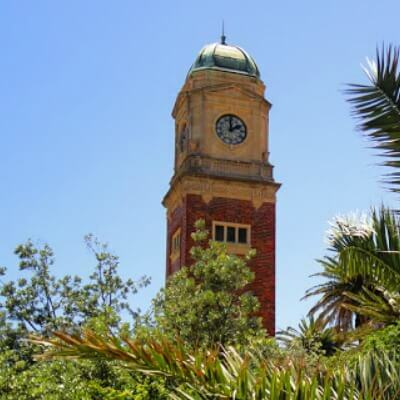 Here you will find, not only a beautiful clock tower but a row of deco clocks displaying the times that trains will arrive and depart. 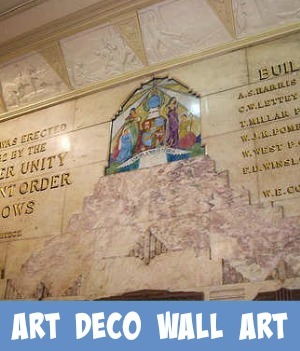 Melbourne's Town Hall Town provides you with unique art deco architecture. 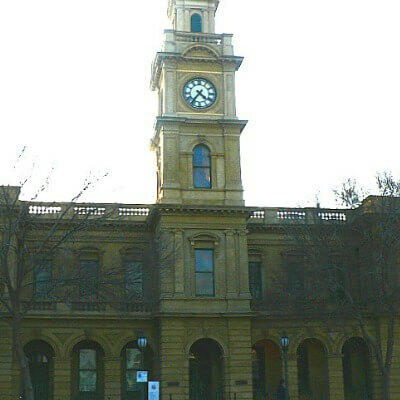 Part of this structure is the Clock Tower, standing high over Swanston Street. 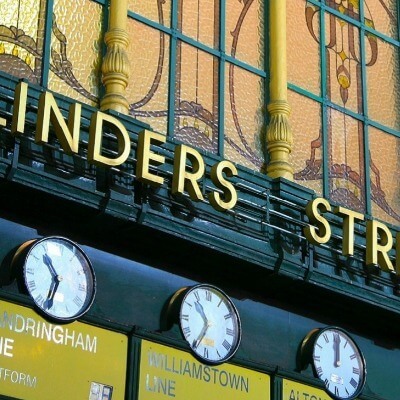 The Myer store in Bourke Street has an excellent example of this on the facade of its building. 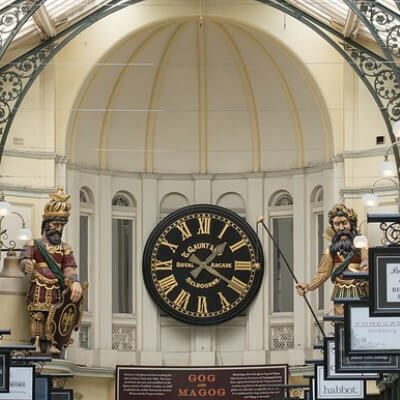 Wander through the Royal Arcade and you will find a beautiful example of a clock being guarded over by Gog and Macog. 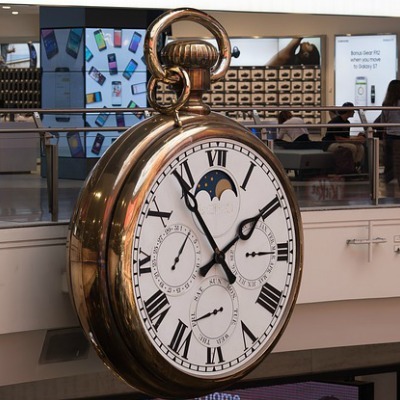 There is a huge clock in the plaza at Melbourne Central. Stand opposite it and watch the workings as it strikes the hour. 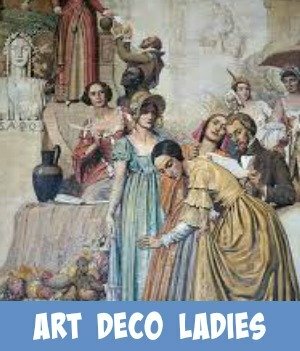 You will find art deco clocks of the domestic kind and larger ones can be found on town hall towers, sculptures and monuments throughout the cities of the world. 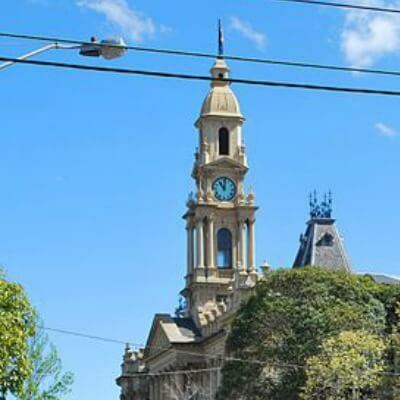 I have chosen 10 clocks that can be found easily in the city and within a short distance from the city's central business district. Access them by car, by following the Google Maps directions on the map below. All the clocks have been placed on this map. Just expand the map to see where each of them are and fill in where you are coming from. 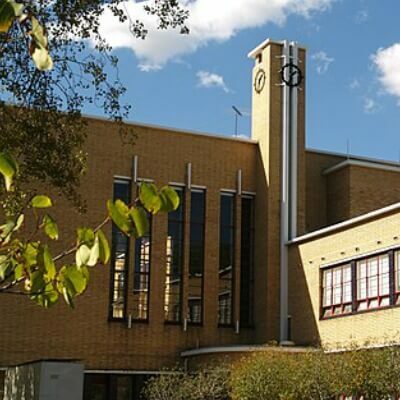 Click to get directions on how to find your way to the clock. 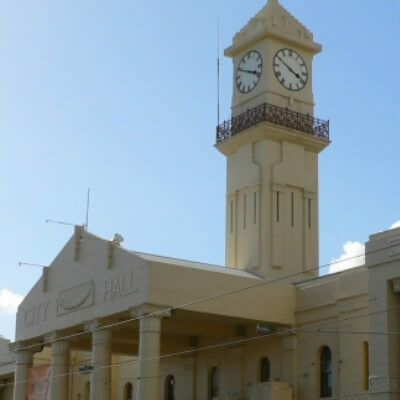 The Centre Ivanhoe on "Sacred Spaces"